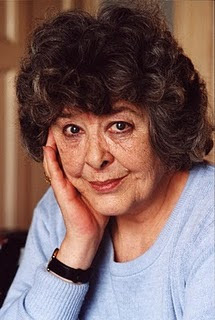 Diana Wynne Jones died on March 26 after a two-year battle with lung cancer. She was 76 years old. A successful author of fantasy novels in the vein of C.S. Lewis and J.R.R. Tolkein, her novel Howl's Moving Castle was adapted to the screen by Hayao Miyazaki and Studio Ghibli in 2004. Our condolences to her surviving family and friends, and all her many fans around the world. Those books were a breath of fresh air. Hadn't read her novels, but as Howl's Moving Castle is one of my very favorite Ghibli films, the fact her work inspired Miyazaki to adapt it, then it must be extraordinary. So, so so sad :( Iv only read Howls Moving Castle (after seeing the movie when it got released) but she was a fantastic writer. Very sad.